Kim is putting all the Bad Blood in her life behind her and treating everyone to a special Valentine's Day gift. 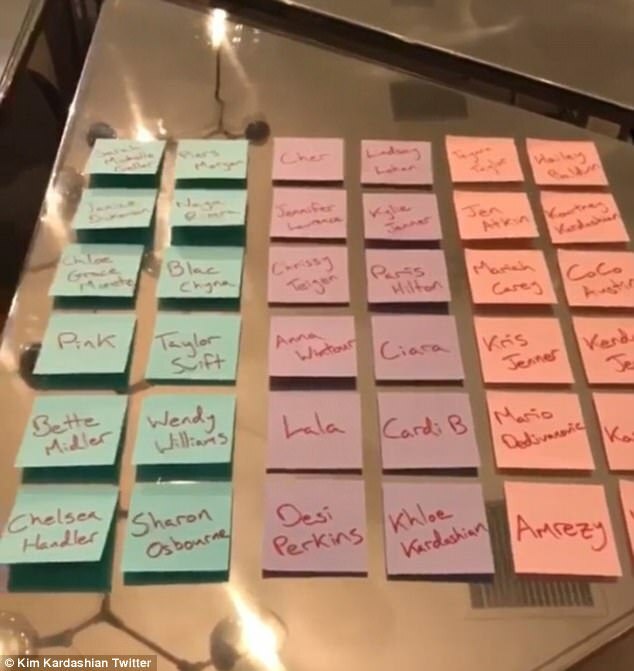 With her new KIMOJI Heart Fragrances coming out this week, Kim put up a special Insta story with the names of her 'lovers' and 'haters' that she's going to send a special bottle to including Taylor Swift and Blac Chyna (we definitely don't know which category she's put them under). I am gonna send out way more than this but I decided this Valentine's Day everyone deserves a Valentine, I'm gonna send one to my lovers, my haters, to everyone I can think of, because it's Valentine's Day after all. As well as Taylor and Chyna, the full list of 'haters' includes Chloe Grace Moretz, Chelsea Handler, Sharon Osbourne, Pink, Bette Midler, Piers Morgan, Sarah Michelle Gellar, Naya Rivera and Janice Dickinson who have all spoken out about Kim in the past.